Kerikeri is an ideal spot from which to enjoy the best of the Bay of Islands for those that prefer fine food to fast sport, prefer quality cafes to vibrant nightlife. Here is a location to relax in comfort and peace, surrounded by exceptional scenery; a place to truly relax and indulge in the finest food and wine. Filled with intriguing galleries, surrounded by the most beautiful landscapes of Northland and alive with culture, Kerikeri has remained off the tourist map, somehow, but it must not be missed. Tucked into the Northern Shore of the Bay of Islands is Kerikeri, one of the most charming historic sites in all of New Zealand. An idyllic getaway, where time seems to stand still, Kerikeri is steeped in history, but it is the setting that makes the township the ideal place to stop the clock for a few days. Just four hours north of Auckland, Kerikeri seems to have slipped under the radar, and remains, despite the popularity of Northland, a hidden gem, tucked into the Northland landscape. Kerikeri is the ideal place to potter, with plenty to explore, from New Zealand’s oldest building to the Parrot Place, Palmco Gardens to the Chris Booth Sculptures. It is a lovely little town where art and culture thrive, with year round exhibitions, craft markets and food festivals springing up at a moment’s notice. The KaanZamaan Gallery exhibits a stunning array of artist and sculptors, via regular exhibitions, with further space offered in a number of locations throughout the town, including the Wharepuke Subtropical Gardens. The Kerikeri Arts and Crafts Trail has been designed to ensure that visitors are able to enjoy the town’s best and most interesting artistic and cultural highlights without a guide. The landscape that surrounds Kerikeri is astonishing. By far the best way to explore Kerikeri is on foot. There are some idyllic walks, the most popular being the 1.5 hour bush walk to the Rainbow Falls, and the trails of the Kauri Forest, but for those that are on holiday to relax, not walk, the best views of the area are from the historic steamboat that puffs gently along the bay. 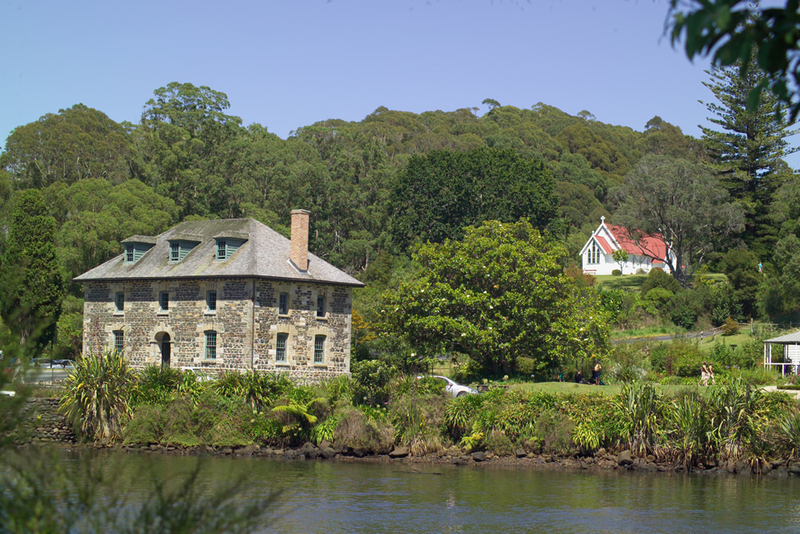 Of course, it is the setting on the north shore of the famous Bay of Islands that draws most visitors to Kerikeri. With Paihia a short drive to the south, Kerikeri is a great base from which to enjoy the Bay of Island’s greatest attractions, most notably, the chance to swim with dolphins. The Bay of Islands is known for its rich seas, and whether you are looking to tackle a giant Marlin, swim with dolphins or take a sea kayak and silently explore the sea, paddling between the islands and discovering hidden beaches and absolute solitude, the Bay of Islands and the Northland coast are at your mercy from Kerikeri. New Zealand attracts visitors from across the globe, and it is the timeless charm of places like Kerikeri that mean visitors are forever captivated.